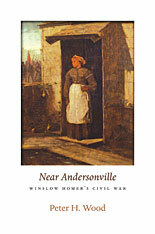 The admired American painter Winslow Homer rose to national attention during the Civil War. But one of his most important early images remained unknown for a century. The renowned artist is best known for depicting ships and sailors, hunters and fishermen, rural vignettes and coastal scenes. Yet he also created some of the first serious black figures in American art. 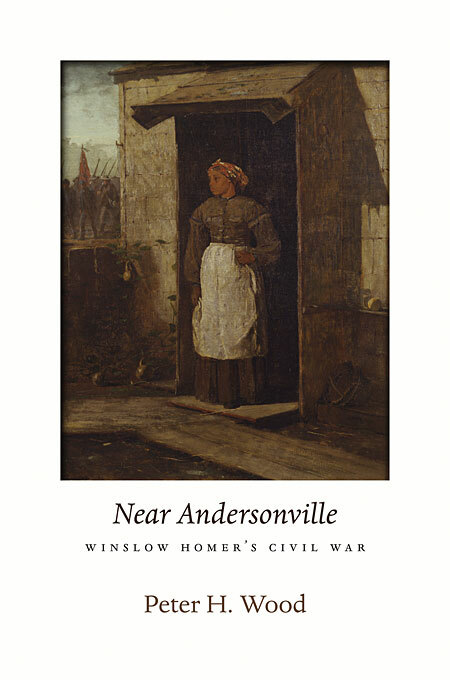 Near Andersonville (1865–66) is the earliest and least known of these impressive images. Peter Wood, a leading expert on Homer’s images of African Americans, reveals the long-hidden story of this remarkable Civil War painting. His brisk narrative locates the picture in southwest Georgia in August 1864 and provides its military and political context. Wood underscores the agony of the Andersonville prison camp and highlights a huge but little-known cavalry foray ordered by General Sherman as he laid siege to Atlanta. Homer’s image takes viewers “behind enemy lines” to consider the utter failure of “Stoneman’s Raid” from the perspective of an enslaved black Southerner. By examining the interplay of symbolic elements, Wood reveals a picture pregnant with meaning. He links it to Abraham Lincoln’s presidential campaign of 1864 and underscores the enduring importance of Homer’s thoughtful black woman. The painter adopted a bottom-up perspective on slavery and emancipation that most scholars needed another century to discover. By integrating art and history, Wood’s provocative study gives us a fresh vantage point on Homer’s early career, the struggle to end slavery, and the dramatic closing years of the Civil War.